Everyone knows the risk and damage smoking does to your body when they decide to start. Despite the knowledge of the harm smoking may lead to, and the health effects of smoking that may occur, it is still a challenge to give up for good without the right help. Education is the starting point to getting people to make healthy personal choices. 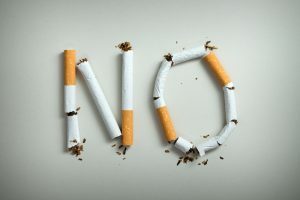 Understanding the dangers of smoking should begin any discussion on quitting, with our hypnotherapy to quit smoking program an obvious solution. Quick, easy and long term. There are many fatal diseases that may result from smoking. These diseases include pneumonia, emphysema and, most commonly, lung cancer. Lung cancer alone has caused 84% of deaths in smokers. These are just a couple of the diseases shown to come with smoking. More than a vague threat to wellbeing, smoking also affects many parts of the body including the respiratory, circulatory, immune and musculoskeletal system. The risk of heart disease and worse, strokes is increased dramatically when you smoke. These are just a number of the damages smoking does to your body. In truth, there are so many health effects of smoking that it can be a challenge to pinpoint ‘which one’ you are most likely to suffer from. Once you fully understand the causes and effects of smoking, our hypnotherapy treatment, becomes an obvious choice. It is a proven solution that allows you to quit smoking easily and quickly. All you need is to want to quit. Pick up the phone today and give us a call….. and see the result in yourself. What happens to your body when you quit smoking is just amazing. If you’re concerned about the damage smoking does to your body, call us today on 1300 64 53 54 or contact us to start your own journey towards a healthier, more fulfilling life.